World Archeology: Drug References Found on Walls of Ancient Egyptian School. 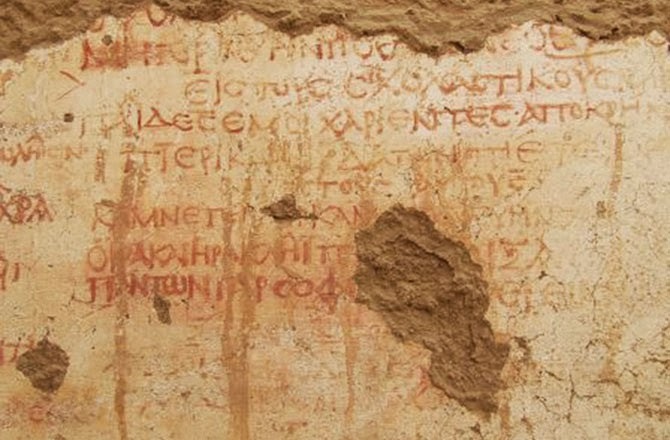 Drug References Found on Walls of Ancient Egyptian School. 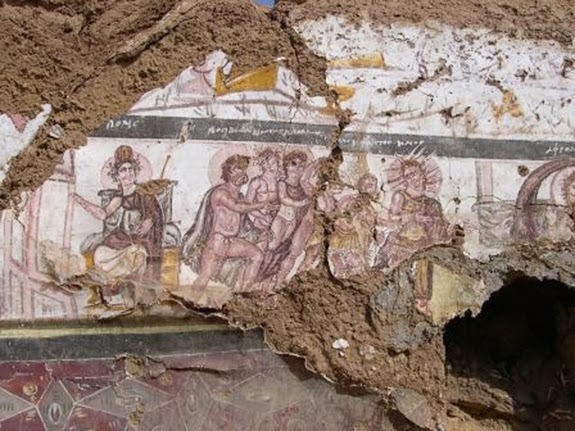 Archaeologists working in the western desert of Egypt have discovered a school dating back about 1,700 years that contains ancient Greek writings on its walls, including a text about ancient drug use that references Homer's "The Odyssey." The school — which contains benches that students could sit on to read, or stand on and write on the walls — dates back to a time when the Roman Empire controlled Egypt, and Greek was widely spoken. The house and school are located in the ancient town of Trimithis (modern-day Amheida), which is in the Dakhla Oasis, about 200 miles (322 kilometers) west of the Nile River. The house, and some of the art, was first discovered in 1979. In 2001, a new exploration project at Amheida, now sponsored primarily by New York University, led to the discovery of the school, its Greek writings and more art scenes from the house. In the ancient world, schools were often part of other places — like private residences, city halls or temples — and, as such, are very difficult for archaeologists to identify, Raffaella Cribiore, a professor at New York University, wrote in the journal Zeitschrift für Papyrologie und Epigraphik (a journal that publishes ancient texts). 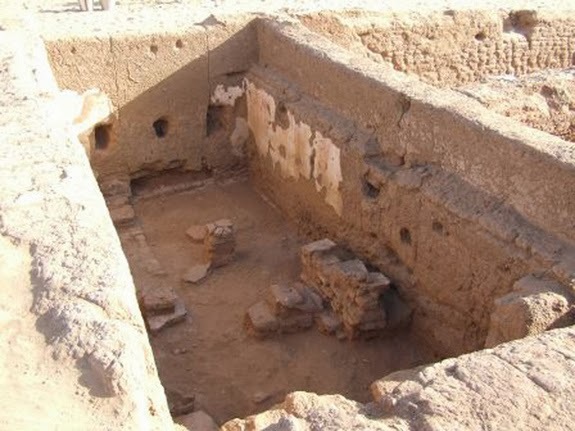 Although archaeologists know of another ancient school in Egypt — a university in Alexandria — the school at Amheida is unique because it was found with texts on its walls, Cribiore said. The texts are "further proof that teaching and learning took place there, and confirm that they belong to the only building so far discovered from antiquity that was certainly a school and showed educational activities," Cribiore wrote.